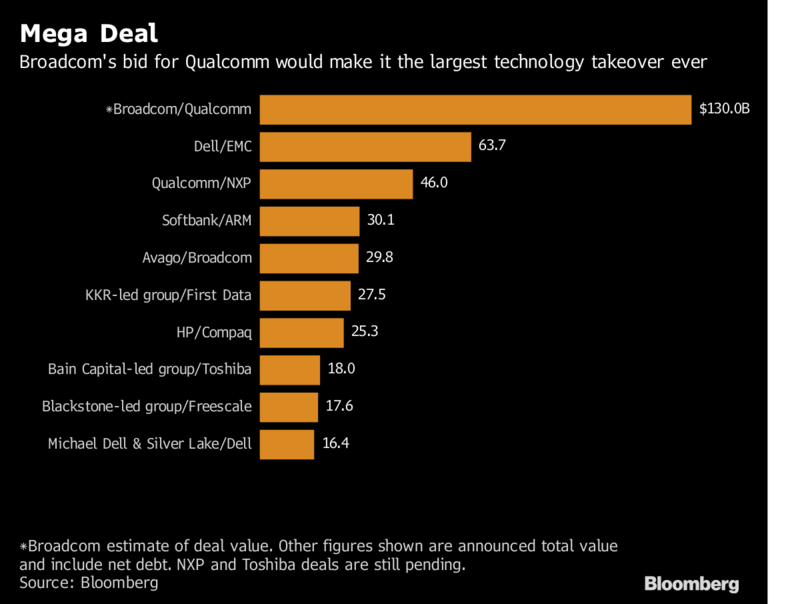 Broadcom has a $103 billion offer for Qualcomm, and while the latter has yet to deliver a comment regarding this development, investors continue to remain positive that the deal will be getting done. During the initial report that stated Broadcom’s intentions over acquiring Qualcomm through a deal that would make it one of the biggest for a chip acquisition, there was a 16 percent increase in Qualcomm shares. However, traders are still paying the highest premium than they ever have in two years, with hopes relying on the fact that the multibillion-dollar deal does go through. Qualcomm’s stock currently stands below 10 percent of $70 per share being offered by Broadcom and it is possible that traders are being encouraged to buy shares because of Broadcom’s attitude towards the entire deal. 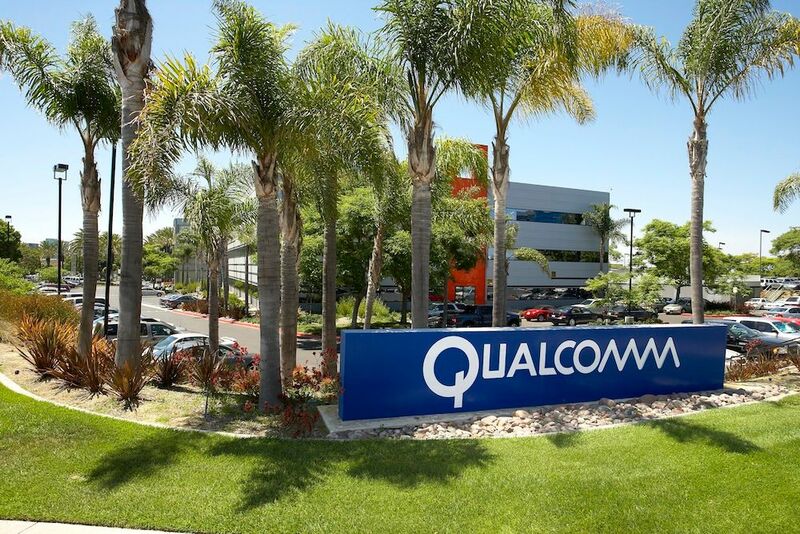 According to sources close to the matter, the chipmaker is preparing for a proxy battle and may make its deal pitch directly to Qualcomm shareholders if the company’s board rejects the $103 billion-dollar offer. Bloomberg reports that Broadcom could nominate directors for Qualcomm’s board ahead of the company’s annual general meeting in 2018. Qualcomm posted a 90 percent drop in profits and noted that the earnings were impacted thanks to the continuous legal battles with Apple. Broadcom, being one of the tech giant’s chip suppliers could become the third-largest chip manufacturer on the planet after Samsung and Intel, having a huge command in LTE chips and several other categories. Broadcom’s CEO Hock Tan also possesses a voracious huge appetite when it comes to acquisitions and states that he is interested in more deals, but his ambitions could be halted thanks to the intervention of U.S. regulators since Qualcomm is a U.S.-based technology company. If a foreign company wanting to acquire a U.S.-based firm, then it will have to be scrutinized by regulators to see if the acquisition goes against the interests of the country. How do you feel the deal is going to go down? Tell us your thoughts down in the comments.